This Sunday is our bi-annual outdoor service. Britain is in the heart of a heatwave so how better to start Sunday worship than with breakfast by the brook? Bacon butties and other breakfast delicacies are served and when we have shared in our holy meal of bread and wine, there will be celebratory tea and cake. What are the good folk of Nether Wallop celebrating, you may ask, why nothing more nothing less, than God’s goodness and provision, and the whole Portway and Danebury group of churches are gathering together to share in the provisions. In God’s goodness even the gospel reading provided for this day centres around a most spectacular picnic, and our patron saint, Saint Andrew, is at the heart of it, read it here. This is the story that was missing from last week‘s gospel passage, and although it is recorded in all 4 accounts, for some reason we have been sent to John’s for consideration. Jesus is at the peak of his popularity, his celebrity status is shooting through the stars, and wherever he goes crowds follow him. On this occasion in excess of 5000 people have gathered to sit at this teacher’s feet and glean whatever wisdom, whatever inspiration, whatever insights into the kingdom of God they can. The people are emotionally and perhaps even spiritually stirred, but they aren’t practically prepared, and have left home without anything to eat. Perhaps their faith is such that they expect Jesus to provide whatever they might need, perhaps they were just caught up in the crazy fandom and didn’t think…. But here they are, their minds full but their bellies empty. Philip estimates that it would take 6 months wages to send for takeout, but Andrew, ‘the master of introductions’ discovers a child has food on him. For some the miracle is that the one who had food was willing to share, and in doing so others were encouraged to share as well, but I don’t think this is what John had in mind. The description of the miracle has a very ‘Eucharistic’ feel to it. The bread is offered to Jesus, who then gives thanks before distributing it to everyone present. The magic may be in the multiplication of food, but the miracle is in Jesus’ presence and, through his actions, identification as the Messiah. For those at the picnic connections would have been made with Moses and the heavenly bread, the manna, which God provided in his day, and of the promise of Moses that one day a prophet would come in his image. For the early Christians hearing the story read back to them it would remind them of the Last Supper and the continued sharing of bread in memoriam, for us it keeps Jesus present even in our busy and confusing lives. Mark’s account reminds us that Jesus has now turned towards Jerusalem and his death, but John’s account, this account reminds us of another occasion. For me, it is the detail of the child with a lunch that raises questions: I am imagining a scene where a child, a son, has something nobody else has, and his mother pushes him forward to offer it. That offering becomes a blessing and a small lunch of fish and bread feeds everyone. Flashback to the beginning of John’s gospel and a mother pushes her son forward when there is nothing to drink, and he too blesses others. First it was wine that was blessed and shared, now it is bread. What Jesus began with his first miracle turning water into wine is now nearing completion with the distribution of bread. The time is not yet right for Jesus to be enthroned, so he retreats on his own, but just like Hansel and Gretel he leaves a trail of crumbs for us to follow. In the leftovers there is also significance: Jesus urges his disciples to gather up the leftover fragments ‘so that nothing may be lost’ (6:12), and when they do, they discover twelve full baskets of leftovers, double the amount of wine jars. Twelve is a highly significant number in Jewish culture: twelve tribes make up Israel God’s holy people. Everybody has eaten well – the 5,000 men, the women, the children, even the boy who sacrificed his lunch, have all been included in this most unexpected heavenly banquet. God is doing something new and amazing and everyone is welcome to join in, there is to be no separation or distinction in value of male or female, old or young – everybody is welcome and everyone is fed. Something new and inclusive is happening, and this is to be celebrated, but perhaps others, the more established members of the Jewish community feel left behind, feel excluded. Jesus takes care that they are not left to feel like discarded crumbs. Elsewhere Jesus promises that he has not come to destroy the law but to fulfil it. The old ways are not wrong, but neither are they yet complete. We live in a world of ‘new’. Fashionistas would be horrified to be caught wearing anything from last season, techies amongst us would be beside themselves with excitement at the news of the latest iphone launch, and is there anyone who has entered the wizarding world of Harry Potter who hasn’t ‘pre-ordered’ the next instalment? Jesus himself often urged his disciples to look for the new thing that was coming, and John the Baptist’s famous cry from the wilderness was to ‘prepare the way’ for that something (or someone)! And yet Jesus takes care that nothing, that no-one, is lost. All that might otherwise be discarded is gathered up in the baskets, the crumbs are not left behind but valued and kept safe. I wonder who, or what, are the crumbs of our faith built society that otherwise might be lost? Light a candle and read through both John and Mark‘s account. What similarities and differences can you find? What is the most surprising picnic you have attended? What surprises you most about this story from the gospels? Why do you think it was so important for the child to make his offering? What offering do you have to make? How can God use what we have to give? Trinity 8: Body, Mind, Spirit – Soul? The twelve disciples return from their missionary adventures. They have worked hard and Jesus is pleased with them. They have ‘earned their wings’ and they are now referred to as Apostles. Jesus is also very much aware of their human need to rest and be restored. They have been giving out much of themselves spiritually, and have quite possibly been surviving on holy adrenaline. Now is time to rest. Jesus wants to hear their stories and I am sure that the twelve will be excited to swap tales with each other. So Jesus calls them away with him to a deserted place where they can be alone. As it happens, the only alone time they have is in the boat as they cross over to that other quiet place, as word gets out and by the time they land, a reception has gathered. Perhaps Jesus gives an apologetic shrug of the shoulders to the disciples, as he turns to the crowd and sees within them individuals who are lost, broken, despairing, grieving, placing their hope in him. Perhaps he gives them a look which promises, ‘later’, and he starts to teach. Jesus feeds the minds and hearts and souls of those who sought him out and are hanging on his every word. Perhaps as Jesus saw their hearts open to receive his teaching, perhaps as he saw them grow and glow in the Holy Spirit, he also recognised that their stomachs were empty. Perhaps his own stomach had rumbled, perhaps he heard some of the 12 begin to grumble about the food they had been promised but never seemed to get, because Jesus now turns to the disciples and orders them to provide food for the crowd. We know what happens next: the disciples despair with Jesus, cannot see how it is humanly possible to feed in excess of 5,000 people, and Jesus reminds them that he is not human, well not completely. A child offers a lunch of fish and bread and Jesus blesses it so that he is able to feed everyone, with plenty left over. Read it here. Jesus nourishes their minds and their spirits and now he nourishes their bodies. For Jesus the body is beautiful; he was there at the beginning and it is his gift to creation, to make humankind in the image of God. The human being is wondrous, but also needy. It is needy of company and love, it is needy of food and drink, it is needy of inspiration and dream-time, and sometimes it breaks. Whilst often in history we see the mind and soul belonging to God and the human body only as a vessel for the rest, Jesus recognises that our bodies are precious too. Jesus also sees that our bodies are connected with our minds and our spirituality and that they have an impact upon each other, and so, he feeds the hungry and he heals the sick. And the people respond: they race around the banks of large lakes, and wherever he goes they lay their sick at his feet (read more here). For some the healing comes from placing faith in Jesus, for some faith comes from that wholesome engagement with Jesus. Perhaps for others it has become a folk superstition: if I can touch the cloak I will be healed, like touching wood to prevent a downward change in fortune. The superficial but ready acceptance of Jesus by the crowd is contrasted with the misunderstanding of the disciples and with the hostility of the Pharisees and Scribes. Where do we fit into this spectrum? Perhaps our heads are filled with a knowledge and love of Jesus, perhaps we have a sense of the spiritual too, but do we have an understanding of the goodness and Godliness of our own bodies and how Jesus wishes to see us flourish in body, mind and spirit? Often we are scared to come to Jesus for healing. We all know those who have been faithful but not healed – is it a sign of lack of faith? Or does God not care enough? Perhaps we are scared that God will heal us and we will become the centre of unwanted attention? Perhaps we have been spooked by spiritual frauds and don’t want to seem gullible, and anyway, we have science now, and the NHS (thank God). Jesus still calls to him those who are suffering in body, mind or spirit. God still cares and wants to see healing and wholeness in each of us. Sometimes it seems, that against our will, the only true healing comes through death and resurrection, first Jesus’ then our own. Should that stop us from coming close to Jesus? Perhaps our faith is too intellectual, perhaps too superstitious, but faith is faith and hope in Jesus is still hope. Let us not be too proud, sceptical, fearful to come to Jesus with all that ails us, and seek his comfort and hope. Light a candle and read the passages from Mark out loud; what strikes you from the gospel? What is the most tired you have been? How do you think the disciples felt when they had their down time with Jesus taken away from them? Why do you think Jesus engaged with physical needs and not just spiritual ones? Do you think physical and spiritual can be separated from each other? Is there still a need to come to Jesus for healing, or has medicine now taken on that role? How can we allow ourselves to be nurtured by Jesus body and soul? How can we support others and enable them to engage fully with God? Healing power of Jesus Christ, fall afresh on me. So, whilst the disciples are off on their holy adventures, Mark entertains us with a rather colourful and gory story. We haven’t heard much about John for a while: right back at the beginning of Mark’s account John was noted to be calling people to repentance and baptising them. We witness John baptise Jesus, and then hear of his arrest. We know that John has his own disciples and that Jesus’ disciples are held up against them as being somewhat lacking as they don’t fast in the way that John’s do, and that is about it. Until now. Herod was a man of great power and wealth, a man with a beautiful wife whom he somewhat dubiously acquired from his brother, and with her a daughter. The daughter is young, nubile, beautiful and a great dancer. John, a rather strange man who wondered around in camel hair and eating whatever he could forage, spoke forcefully of the need for repentance in the world, and especially amongst the successful elite, the powerful and wealthy, people like Herod who had no qualms about stealing another man’s wife, even if that man was his brother. John had no fear in speaking against Herod’s marriage and need for repentance, and Herod somehow found himself attracted to the words that John spoke – though not enough to act upon them, to repent. Herod’s wife was not attracted to John. He was a thorn in her side, a mosquito humming in her ear. Herod had the man imprisoned, out of the way, yet not far enough for Herod’s wife who would find her husband in his company, listening to his preaching. So much for the back story: Our story takes place on the king’s birthday. It is only fair to say that this king is not just powerful and wealthy, he is also vain and arrogant. In his pride he invites his courtiers and officers and all the leaders of Galilee to a banquet to celebrate his birthday. All the guests are men, of course, and they all wish to impress the king and assure their own role in elevated society. As he gorges on the delicacies set before them, they do too; as he devours glass after glass of fortified wine they do too, and when his daughter is called to dance for them, and they leer after her, he does too. She swirls and turns and encourages their cheers and jeers and other ‘manly’ responses to the way she uses her body, and when the king calls her to him, she responds demurely, lowering her eyes. She knows what is about to come. The king praises her and the men echo his praises with energy, and he offers her ‘whatever you wish, even half my kingdom’ – a generous offer, the most generous of all, and he swears solemnly, with all the courtiers and officers and all the leaders of Galilee as witnesses. The young woman, nods and smiles and backs away to meet with her mother who has been watching, the mother who has trained her daughter to dance and delight, the mother who has been plotting for this one golden prize. ‘What shall I ask for?’ the daughter says. ‘The head of of John the Baptist’, she replies, without hesitation. The leering and jeering stop. This girl is no innocent, this girl is a viper who has just stung. The courtiers and officers and all the leaders of Galilee look on in silence: will he do it? Will he murder a prophet on the whim of a girl? Will he keep his word? Herod too is silent. John is a man of God. He knows it is really his wife behind this and that she has trapped him. He knows too that his honour is at stake. It pains him, he likes the man, there is something special about him, even though Herod knows that John is no fan and would show no loyalty to him. What loyalty would the courtiers and officers and all the leaders of Galilee show him if they discovered him to be weak? What has he to lose? Only the head of a man who has been needling him and upsetting his wife for years. So he gives the command. A soldier is sent to do the deed, and returns bearing a platter covered in blood and bearing the head of John the Baptist; bearing the ears of the one who heard from God, the mouth of one who spoke words of repentance, the eyes of one who saw deep into his heart, the one who prepared the way for the coming of the Messiah. So other than filling time, like a community song in a panto whilst the cast change into their wedding costumes for the finale, why does Mark tell this story now? Well the Gospel is changing tack. Mark is taking us closer and closer to the cross. In this passage we are reminded that John is the forerunner of Jesus. Their lives have mirrored each others from before they were born: both had miraculous conceptions, both had a calling to preach repentance and to draw others into God’s kingdom. Both drew curiosity and intrigue from the powers that be, and just as John has met a bloody end, so too will Jesus. And just as Jesus and John share a similar fate, so do the powers that be: both Herod and Pilate find themselves, ‘manipulated to carry out the deadly hostility of a third party, both, though seemingly in charge, become unwilling actors in a drama beyond their control’ (Williamson Jnr). What’s more, for those who continue to follow Jesus, those who have picked up their staff and gone out in their twos to preach the kingdom in Jesus’ name, will also face such hostility and, for many, violent death. There is also a warning here, that political leaders may seem to spout words of support for the kingdom, may show understanding, compassion and even an inkling of faith, but don’t be surprised if they let us down. They did it to John and to Jesus. This isn’t a story of evil defeating good. This is a story of success versus significance. Pilate may have succeeded in removing a threat to the current tenuous peace, the religious leaders may have succeeded in removing the ‘heretic’ in their midst, Herod’s wife may have succeeded in removing the threat to her marriage and her throne, however, the significance of the Gospel has not and will not be diminished. Not John’s nor Jesus’ nor any of the disciples’ deaths will have been in vain, each of them have been building blocks in the kingdom, of restoring heaven on earth. What is the most enthralling or inspiring entertainment you have been caught up in? What do you think were the real motives in this story? For Herod, his wife Herodias, her daughter, Salome, for John? Explore some of the implications of Mark including the story at this point in the gospel. What lessons can we learn from Herod’s pride? Are there ways in which we need to make changes in our attitudes? open our hearts to everything you would say to us through your words and through those who speak it to us, however demanding it might be – however unpalatable the truth, demanding the challenge, humbling the experience or searching the questions we must face. Speak to us and equip us to speak for you in turn, standing up for truth, right and justice, even though that may be equally demanding. A few week’s ago, we heard the story of Jesus’ mum and siblings believing that Jesus was deranged, and seeking to bring him home, trying to prevent him from further embarrassing the family name. Read more here. That story was a bit like a prologue foretelling what is about to happen, and today’s is like an epilogue reflecting on what has come to pass. Or perhaps they are bookends bearing a symmetrical design, or opening and closing brackets. Once more Jesus’ family are at the heart of the action, and once more their status as kin is questioned. Read it here. Jesus has returned home, willingly this time, and like the good Jew he is, he attends synagogue on the Sabbath. Everyone is astounded as he expounds on the Holy Scriptures. His fame has gone before him and they are expecting a show, his teaching doesn’t disappoint, and yet those he grew up among somehow can’t quite believe that Jesus is who his fame claims him to be after all, isn’t this Mary’s son, the carpenter? His family are present, or at least his sisters are. His brothers are named: James (who will go on to become one of the leaders of the church and even write a book of the Bible), Joses, Judas, and Simon, but none of them stand to defend him or his honour. None of them speak up for their mother either for that matter. In their very silence, they too reject Jesus. Previously Jesus had asked the question ‘Who are my family?’. Blood and bone don’t count in the ordinary way. Then he pointed to those around him and claimed them as mother, brother, sister. Now, we just move swiftly on. Amazed at their unbelief, disheartened, lonely…. Jesus leaves Nazareth and heads out for the villages. He calls to him the 12: these are his ‘family’. Jesus called these twelve men and they followed. He taught them, built trust in them and created a new family of faith with them. These are his kin. Nothing could be done in Nazareth – the locals’ disposition to doubt and down play and discourage prevented Jesus from truly being himself, but out in the villages Jesus could challenge the disciples to go and be God’s family, reaching out to extended ‘family’, finding hospitality and doing their Father’s work. So what has happened within these book ends? Jesus has been telling parables, drawing close to him anyone who will listen and teaching them about God’s kingdom. He has reached out to the outcast: the gentile lunatic, the woman with bleeding, the girl who had died. He has brought his disciples directly into the presence of his kingdom as they have witnessed, taken part in, explored the theological impact of what Jesus has been doing. He has built a family of faithful risk takers around him, people he can trust, people he knows will get it wrong, but won’t lose heart, won’t cower behind gossip or keeping up appearances. These are the people of his kingdom. This is his true family. So where do we find ourselves in this story, or collection of stories? Do we hide behind what we think we know of God – gentle Jesus meek and mild? Do we keep him tucked up in the nativity set or hung upon the cross, but never allow him full reign in our hearts? Do we doubt? Do we fear? Are we risk averse? 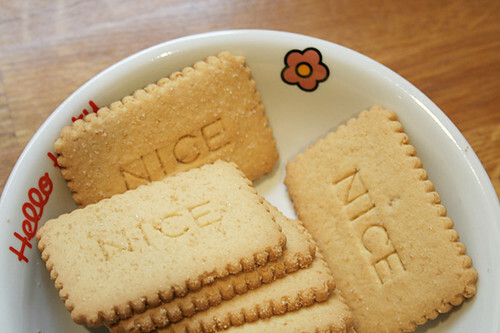 Is God’s kingdom for us the same people who share the peace week in, week out and linger over ‘nice’ biscuits and luke warm tea afterwards? Is ‘out reach’ or ‘missionary work’ what others do, but we support in prayer once a week in our intercessions and save bottle tops for? Or is God more than that? Have we discovered the welcome home Jesus offers us, in a family of adventure and miraculous (but sometimes scary) events and activities? How we view Jesus has an impact on how we view our relationship with him, and that has an impact on the works and wonders he can perform in and through us. Are you willing? Are you ready? If so, welcome to the family. Light a candle, read through the passage from the Gospel of Mark (click here) and st in silence for a while. What thoughts or images come to mind? How would you describe your own family? How do you think Jesus felt when he was rejected by friends and family? How do you think his family felt when they had been ‘rejected’ by him? What was it that stopped people from Jesus’ home town from having faith in him? Does familiarity breed contempt? Have you experienced this in your own faith? How can we prevent ourselves from having a faith life limited to Sunday worship and church rotas? How can we be more adventurous and active in our faith? Incomparable God you have made yourself available to us in all your power and in all your love. You have put the world at our feet and made us lords of your creation. Now we go out to the adventure of living in good heart and with high hope because you are going with us. Amen. Trinity 5: Woe is me. The link in today’s readings is Lamentation. The psalmist (130) laments his own loss of self-esteem. In Mark we find Jairus and his village lamenting the loss of a young daughter. What marks out Lamentation from grief? So what is the value of Lamentation? Jesus raising the little girl gave a family a new start – as did his raising of the son of the widow of Nairn, – as did his raising of Lazarus. Jesus is still in the business of Laments received and healed. What might this mean for us? Speaking personally, sent to boarding school aged 7 it took me only half a term to shut down my tear ducts and feelings. I was in my late 40s before the Lord broke in, defrosted my tear ducts and brought this healing to two or three hidden Lamentations. Perhaps you need an invitation to be raw with your heavenly Father and find he loves you anyway – and then receive the joy of consolation which Lament can bring. And speaking carefully, Lamentation is bringing a new perspective to those caught up in the tragedy of Grenfell – there grief is crippling some, whilst grief brought to God as Lamentation is beginning a process of consolation. Light a candle and sit in silence bringing before God all that causes you sorrow. Are there times when you have felt isolated by a physical ailment? There are two stories in Mark’s gospel – a young girl about to turn into a woman, and an older woman whose life is closing in around her. What links can you find to connect the two women? What laments might these women voice? What laments might their families voice for them? Both laments were brought to Jesus – how did he respond to each ‘child’? How can we bring our laments to God – what might stop us? open our hearts to everything you would say to us through your word and through those who speak it to us, however demanding it might be – however unpalatable the truth, demanding the challenge, humbling the experience or searching the questions we must face. Speak to us and equip us to speak for you in turn, stand up for truth, right and justice, even though that may be equally demanding.